This month, DOVE Chocolate is launching its biggest advertising effort in recent years. The two-pronged effort introduces a new line of DOVE Chocolate Bars as well as advertising targeted to Valentine's Day, the brand's biggest sales moment of the year. The product and associated new work (from BBDO NY) celebrates the bold, unapologetic, pleasure-seeking woman of today. Or, as advertising says, "The chocolate bar for the bold of us." Work to support the brand’s line of new flavors kicked off earlier this month during the telecast of the Golden GlobeAwards and will continue throughout the year. It includes TV, digital and print. The digital Valentine’s Day campaign debuts this week. Embracing this spirit of boldness, it shows women what Valentine’s Day looks like when you don’t wait for anyone else to celebrate the day. 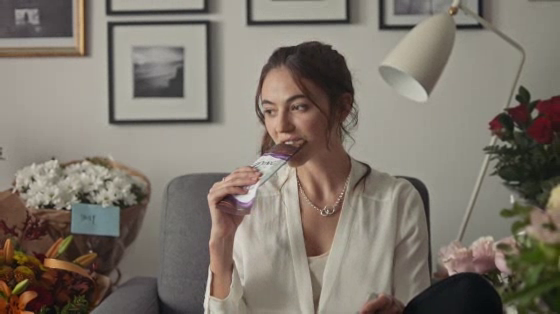 DOVE® wants to inspire her to break from tradition – to do what she wants, go where she wants and buy what she wants, notably buying her own chocolate. And when a woman buys herself DOVE® Chocolate on Valentine’s Day, she’s not only taking a stand for herself, her independence and other women, she’s also paying it forward.